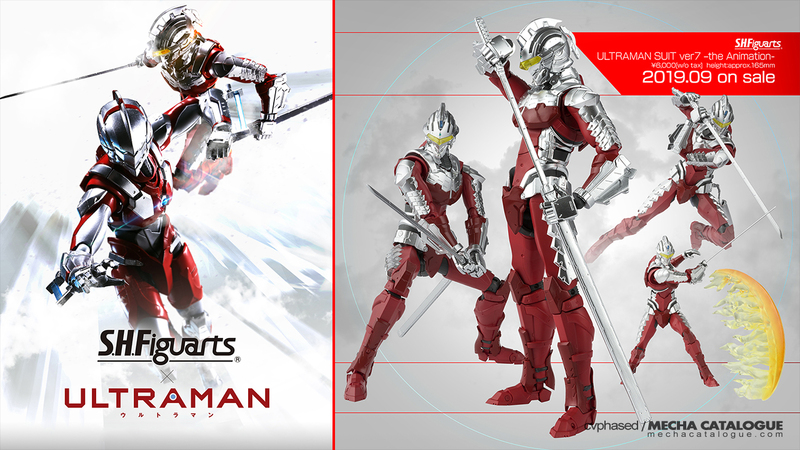 Back in 2015, Tamashii Nations (when they still have like redundant product lines) released some figures from the ULTRAMAN manga under the ULTRA-ACT ✕ S.H.Figuarts collaboration banner. 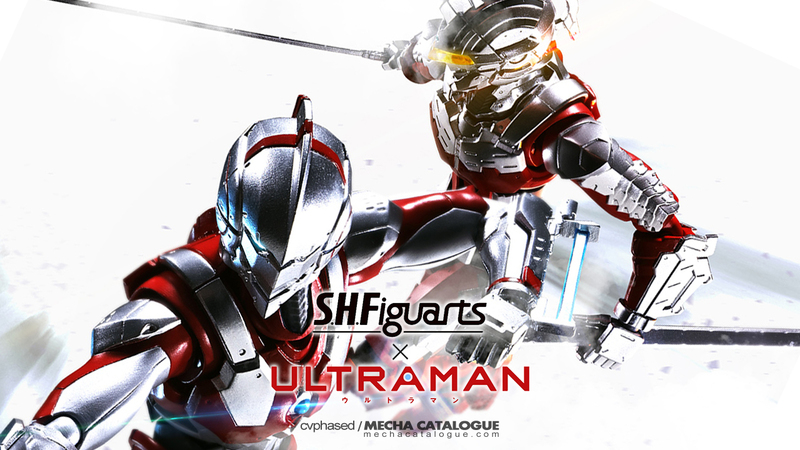 Fast forward to 2019, and with the ULTRA-ACT line phased out, Tamashii Nations has started solicitations for a new set of ULTRAMAN figures under the now-consolidated S.H.Figuarts line. Now I know what everyone’s thinking when these were first revealed — that these were just repaints of the 2015 figures. Apparently, Tamashii Nations also knew what we’re thinking so they made sure to elaborate that these ain’t the same figures with a new paint job. Let’s get the obvious one out. The colors on the new figures are based on the anime versions, which are brighter than the subdued ones from the manga. They also went further by using the paint differentiate textures on the armor. 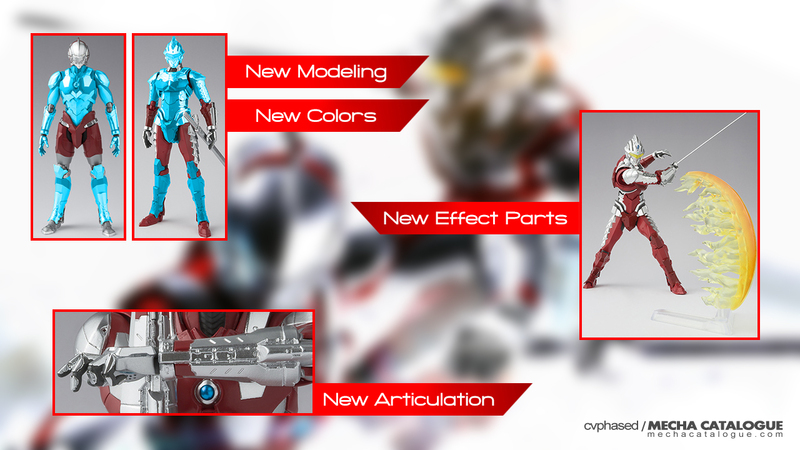 Vibrant silver and red paint are used in the hard armor panels while matte grays are used on the flexible sections. Articulation and proportion of the figures have been modified as well. As told in this Tamashii Nations interview around 70 to 80% of the figures are new parts. These include extended forward torso crunches, flexible leg armors to do the single knee bend pose (i.e. the superhero landing), and specific to the Ultraman Suit — new pull out shoulder joints to replicate the Specium Ray pose without replacing the chest plate, something you need to do with the ULTRA-ACT ✕ S.H.Figuarts version. And finally, new effect parts will be included to recreate all the dynamic poses and attacks appearing in the anime. 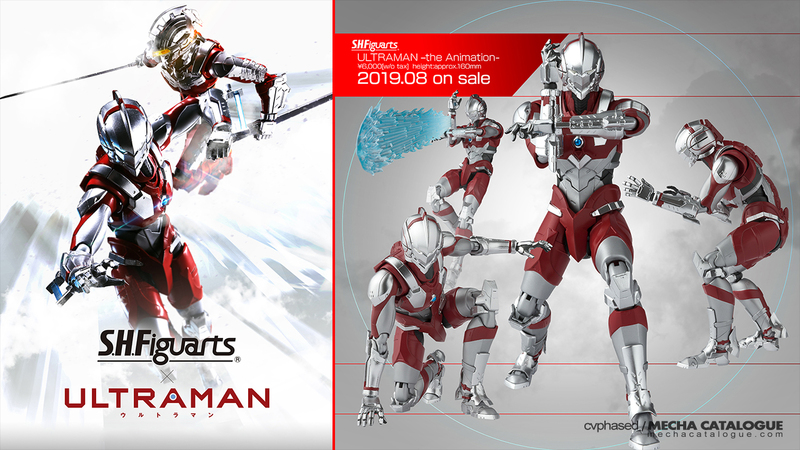 They didn’t include Ultraman Suit A in this solicitation but I’ll assume that the same changes will apply to that figure as well whenever they announce it. To read more of the Tamashii Nations designer interview mentioned earlier, click here. Catch ULTRAMAN on Netflix starting April 1.